Since starting this blog last year, I’ve discovered that I love to write. I still have a lot to learn, but blogging on a regular basis is giving me lots of practice and I can feel my writing developing all the time. I have been thinking about taking a creative writing course, but have been a little reluctant because I don’t really have any ideas to write about. So when this course popped up on my Facebook news feed the other day, I couldn’t believe my luck. It’s a one off “life writing” course about putting your memories onto paper. Two of my favourite books are The Life and Times of the Thunderbolt Kid by Bill Bryson and Boy by Roald Dahl, both are autobiographies about their childhoods, and they tell such lovely stories in them, I’d love to be able do the same about my own childhood memories. This course is run by one of my favourite authors, Sophie Duffy. Sophie has written two great books – The Generation Game and This Holey Life, both of which I have read over and over. Sophie is one of three authors who have set up Creative Writing Matters, an Exeter based group running courses and workshops on all aspects of writing, including supporting people who are entering competitions, and providing a mentoring service. Sophie has previously written a guest post for the OPSW blog about becoming a writer, which you can read here. If you love to read, you should also check out The Reading Room, who run day courses at a beautiful country house on Dartmoor. I had quit my job as a teacher and gone travelling to South America to change my life. 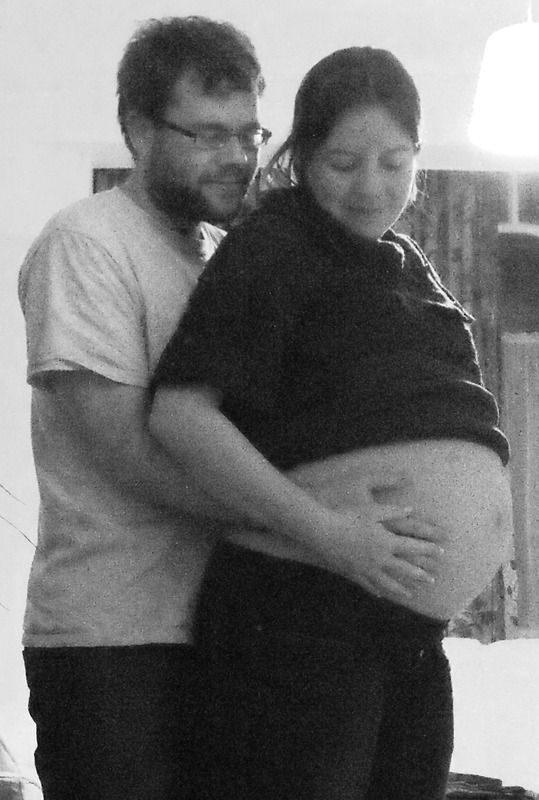 Seeing as I returned ten months later having found the love of my life, and with the shock news for everyone back home that I was pregnant with our baby (not to mention the shock it had been for us), I would say that my goal had been achieved! Our little accident in Argentina, Eva, is now 15 months old and is the greatest delight of our lives. However, it hasn’t been the easiest of journeys. We had returned without anywhere to live (and as Ciarán is Irish, we hadn’t yet even decided which country we would live in), and without any income between us. My savings had been completely depleted – mostly I think on too much alcohol in Peru – but thankfully Ciarán had some in a separate account. We were also extremely lucky to have very supportive and generous parents, including mine who remortgaged their house in order to provide us with a monthly income. I had gone from having a good income and being completely self-reliant, to suddenly being dependent on family once more. It was this, I believe, that was the main spark for my antenatal depression, which stayed with me to varying degrees until Eva was born. I had never had an exact plan for my return to the UK, but that was just as I wanted it. After years of feeling tied down and stressed (not just from teaching in a challenging inner-city London school, but also as I had been a local councillor in a highly deprived area at the same time – I had averaged 80-90 hour weeks, including evenings and weekends), I needed the feeling of coming home and still being free. I had assumed that I would work in any old job and didn’t care where I slept, and/or that I might go abroad again to work, then at some point I would do a Masters and start my new career path from there. But the baby meant that a real plan was needed, and we only had about seven months in which to get reasonably settled. Abortion crossed our minds several times, but our unborn was the product of the happiest time of our lives, so we knew that we wanted her. Once the terrible morning sickness had finally vanished (the same morning sickness that had started when we were in 40°C heat in India, and which I had initially assumed to be a strange case of Delhi Belly), and on days when the antenatal depression wasn’t so bad that I couldn’t get out of bed, I started applying for a few jobs. But I was quickly starting to show, and when I went to an interview and saw the interviewer glance down at my tummy with a knowing smile, I knew that this was a pretty fruitless exercise. So I threw myself into my writing. I had done some freelance travel writing while I had been away, and had also spent a month working as a guidebook writer in Uruguay. I continued to do this throughout my pregnancy, mostly education and travel writing, but by the time Eva was born I could still count the number of paid commissions I had received on my fingers. Meanwhile, Ciarán’s jobhunt had not fared much better. After a couple of months of his applying to a variety of jobs that we knew he didn’t really want anyway, we made what many people called a very brave decision: he would study for his Masters in Meteorology then aim to get a job from this. To us, it seemed the obvious thing to do – we knew we had to start thinking longterm, and there was no point in both of us giving up our post-travel dreams. Fast forward to the present day, and after spending a year living in Reading where Ciarán successfully completed his Masters, we are now in Exeter where he has been working at the Met Office for the past six months, but this is not going the way he wanted. I look regularly at jobs, but nothing I could do other than teaching would make any money after having to pay for childcare. And the very thought of teaching again literally gives me the shakes, so I fear a return of depression if I tried it. I still have a place held at University College, London, to study my MSc in Neuroscience, Language and Communication, but it is unclear when – if ever – I will be able to follow this dream. Instead, I am following another interest. Having taken up running while a teacher and councillor, which I found was the best stress reducer, and having continued to run during my travels and throughout my pregnancy (including a slow one miler on my due date! ), I am studying by distance learning for a diploma in personal training. I hope to use this to work flexibly around Eva. 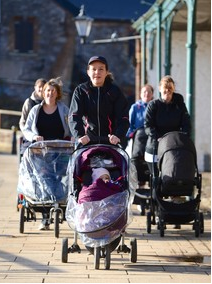 I am giving myself experience of leading group exercise sessions by having started Mummy Active, a buggy fitness class on the Exeter Quayside. Currently, I am asking for donations to the charity for which I am running this year’s Brighton Marathon, but once I am a qualified instructor and can be insured, I aim to expand this as a small business. I also have a number of other similar ideas up my sleeve, which I will reveal at a later date. Unfortunately, my other business venture, parent and baby Spanish classes, has not taken off in the way that I wanted, despite good feedback from those who have attended. Hola Bebé will therefore have to end before I lose any further money, sadly. 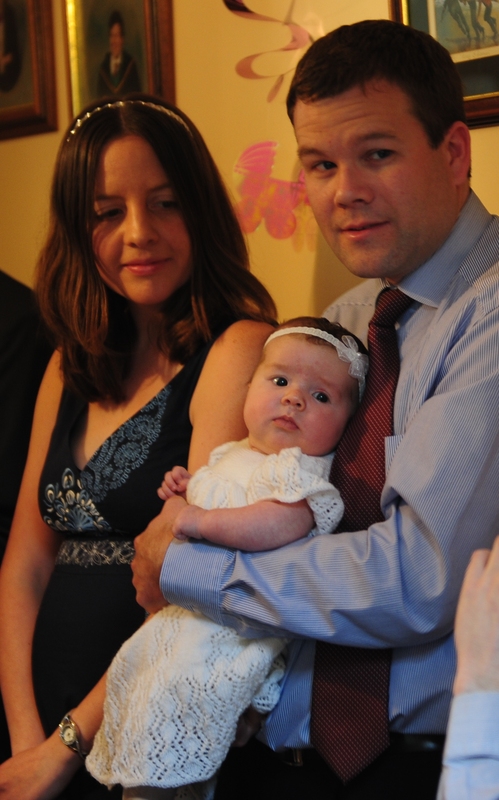 Ciarán, Eva and I are not yet self-reliant, and as well as being eternally grateful to our parents, we are very thankful for Child Tax Credits. We don’t know where we will be living in a few months’ time, and our careers are very much up in the air. But we are together, and we are happy. And Eva has been worth every moment of worry, every tear, every fear and everything we have given up. One day, we will return to South America as a family, and hopefully stay there for a good length of time. Unlike in our 20s, when our work was the focus of our lives, it is now merely the method by which we can aim to give our family the life we really want. This time last year, Liza Kane teamed up with a friend, Amanda, and realised her dream to open her own barbershop in Dawlish, Devon. One year on, L.A Barbers is still going strong and they are celebrating their first year in the shop. Congratulations! Liza was a young single mother who decided that she’d had enough of boring office jobs that she didn’t care about, so she took the plunge and retrained as a hairdresser. I decided to get qualified in something I was passionate about, would fit around my daughter’s schooling, and would ultimately pay the bills! She took an evening hairdressing class and started working as a mobile hairdresser in the local area. This helped her to build up a strong client base, as well as providing her with experience and opportunities for market research. She discovered that there was a shortage of specialist men’s and children’s hairdressers in the area, so went back to college to gain further qualifications in children’s hair cutting and barbering. Once she had the necessary skills, she decided it was time to open her own premises. In January 2012, I teamed up with Amanda, who also has young children, and we opened L.A Barbers in Dawlish, launching a traditional barbers with a modern twist. We are a team of female barbers specialising in male and kids cuts. 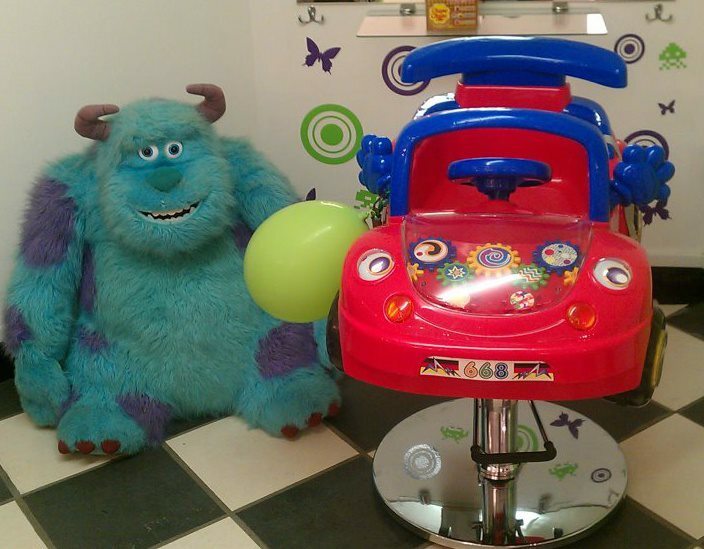 We take the drama out of first hair cuts and trims by using our racing car hair cutting chair, keeping the little ones happy! Liza continues to work on a mobile basis as well as in the shop. For more information, check out the L.A Barbers’ and Liza Kane Hairdressing pages on Facebook.